The situation in the transit sector is becoming increasingly deplorable, and one of the main reasons is the reluctance of Latvian politicians to conduct normal dialogue with their neighbors. This is reported by Sputnik Latvia , said the former minister of communications, and now the candidate for this post from the party “Consent” Anrijs Matisse. He stated that over the past three years the flow of goods through Latvia has significantly decreased – by about a third. Not only the profit of the railway, but also the revenues of the state budget decreased. Salaries in this important sector for the Latvian economy are also falling, and if the trend continues, workers will have to be dismissed. But “Consent” believes that the situation can still be saved. “Our plan is to increase the transit flow by at least five million tons per year, that is, 16 million euros into the state budget,” Matisse said. He is sure that this can be achieved by a reasonable dialogue with understandable conditions and clear criteria for attracting goods. “Unfortunately, this dialogue with Russia remains at a very low level,” Matisse said. Therefore, Russia chooses its ports, but, as the politician is sure, its port capacities will not be enough for it. “If we offered a normal dialogue, normal opportunities for Russia to use our ports, our railway, we could return the goods,” Matisse said. He noted that Belarus also remains an important partner of Latvia and it is necessary to increase the volume of transshipment of Belarusian goods. “Therefore, we need competitive tariffs and competitive conditions, we need to give both Russian and Belarusian entrepreneurs the opportunity to invest in our ports, create their terminals and develop business here,” the politician is sure. 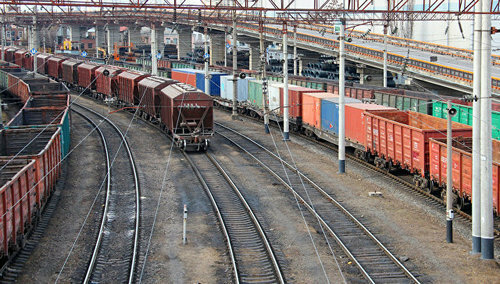 The transit sector of Latvia lost a significant volume of cargo because of Russia’s intention to develop its own infrastructure in the Baltic, and also to increase the carrying capacity of the Leningrad Region railway. According to the organization “Baltic Association – Transport and Logistics”, for four years rail transport decreased by 23%, the turnover of Latvian ports – by 16%, and the national economy lost at least 132 million euros.